Aug 16 • Finance • 805 Views • Comments Off on Why Is BVI An Attractive Place For Overseas Investors? Located in the Caribbean and popular with holidaymakers, such as honeymooners, the British Virgin Islands (BVI) is a tropical paradise and many offshore companies are incorporated there. So, why do many organisations decide to get involved with BVI business registration? As it is a tax haven, the British Virgin Islands doesn’t expect offshore companies to pay tax on profits and salary because they are exempt. When a BVI offshore company reports healthy profit margins, it will keep every penny. If directors are paid through dividends, no tax will be deducted either. In many European countries, such as the UK, a lower rate of tax is applied to dividends in comparison to PAYE tax. 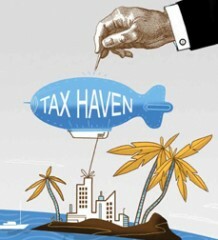 However, no tax has to be paid at all on dividends which are issued in the British Virgin Islands. Even when a large dividend payout is awarded, nothing is deducted and a director will keep all of it. In the UK and other European countries, information about a board of directors and shareholders can be obtained because it is entered onto a public record but the opposite applies in the British Virgin Islands. This is because such personal data cannot be acquired by a third party. Consequently, many more people will be interested in becoming associated with a BVI offshore company because of this reason alone. The main currency in the British Virgin Islands is the US Dollar. The value of many currencies around the world continues to fluctuate and investor confidence in them is not strong at all. The US Dollar is a trusted currency and it is preferred by various governments when their own currency falters. Although the value of the US Dollar can change, it won’t do so by much. The British Virgin Islands is an overseas territory of the United Kingdom. The government there will come and go but will happen by democratic means and not through violence. The Arab Spring has seen the governments of many countries being overthrown through extreme violence. However, the opposite applies in the UK because a change of government will happen at the ballot box. Consequently, the British Virgin Islands is viewed as being a more secure jurisdiction for overseas investors when compared to such countries as Tunisia and Egypt. It takes a lot of time and money to audit a business but such expense doesn’t accrue with an offshore company in the British Virgin Islands because it isn’t expected to be audited. As a result, an accountant doesn’t have to be hired to maintain corporate accounts. Nevertheless, it is recommended that this is done for peace of mind and that profit margins can be referred to. So, if an organisation wants to save a significant sum of money, it should seriously consider the BVI business registration process in order to do so.